Psychodiagnosticator: What do we talk about when we talk about schizophrenia? What do we talk about when we talk about schizophrenia? 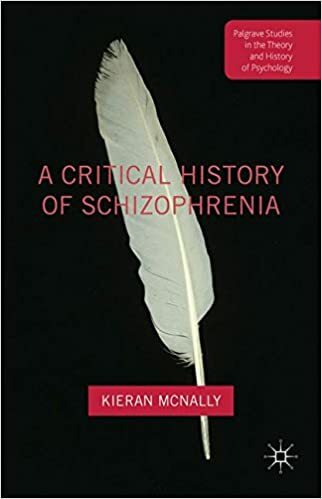 I have been gleefully reading Kieran McNally's book on the history of schizophrenia, which turns out to be a compendium of great detail and fascination. As someone who has spent a few years now trying to seriously orient myself in the history of this weird and sprawling concept (I was lucky enough to be allowed to devise and teach an undergraduate course on the history of schizophrenia), I am staggered by the scale of McNally's erudition on the subject. It makes the book enormously valuable both as a treasure trove (in addition to an almost 30 page long reference section, there is a further 10 pages of recommended reading) and as a contribution to our understanding of this unwieldy but influential idea. The topics of madness and psychiatry have long had their groups of dedicated historians, but the history of schizophrenia itself can get sidelined. Often it is told as part of a broader narrative by people with an axe to grind (witness Jeff Lieberman's casually whig history "Shrinks" from last year), or with other, bigger fish to fry (Richard Bentall's Madness Explained contains a nice conceptual history of schizophrenia, but it is not the main focus of the book). Such histories are, in any case, often predominantly externalist, meaning they focus on the social and economic context of madness (or on the personalities of famous psychiatrists), and not on the development of the ideas. McNally's book is avowedly internalist about schizophrenia. This means you won't find many colourful anecdotes about wacky doctors and their extraordinary patients, but the story of the concept's development (filling a space that has been peculiarly vacant) is no less entertaining. The book is built partly out of papers which McNally has published on specific historical questions, but it still comes together into a satisfying and revealing narrative. This is a "critical" history in the best sense of that term; that is, McNally introduces layers of complexity and nuance to a narrative we already think we know. The rough outline of schizophrenia's past is well rehearsed: at the turn of the 19th/20th centuries, Kraepelin separates Dementia Praecox from Manic Depression, and Bleuler re-names it "schizophrenia", partly to avoid the degenerating quality implied by "dementia". Psychiatrists disagree wildly about how to define it, until a series of refinements (Schneider's first rank symptoms, the Feighner criteria) lead into a universally accepted definition in DSM-III. There are two major waves of disruption (Poland's "socio-political" critics in the 1960s, and "scientific" critics from the 1980s to the present), and a future rendered uncertain by the rise of NIMH's RDoC initiative. Several major strands in this story are unwound by McNally, revealing how official psychiatric knowledge transmission warps the field's history. To begin with, it is convincingly demonstrated that the notion of schizophrenia as "split personality" (which psychiatrists have spent decades defining schizophrenia against) is not some popular misconception perpetrated by an unwitting public but was, for many years, built firmly into the professional understanding of the category. Thus psychiatric textbooks spent about the first 3rd of schizophrenia's lifespan describing it in terms of psychic splitting, and the next two 3rds repudiating that conception. Officially Hecker's idea of Catatonia (which was incorporated into schizophrenia) has been "disappearing" from the diagnostic scene, possibly because of improved medication. In fact, argues McNally, it may never have been very prevalent, nor very conceptually coherent ("Taxonomy, consequently, made visible to science, in a ceremonial space, categories of people who were not in fact there." - p.95), and was only reluctantly accepted as part of the broader schizophrenia classification in the first place. In another vein meanwhile, the popular Bleulerian mnemonic, the "four As" (disorders of association, affect, ambivalence and autism), is at least an over-simplification of Bleuler's writings, and at worst a distortion. Some texts have five As, and others disagree over what the As actually are. In any case, Bleuler did not write in such glib snippets, and the acronym only appears some fifty years after his text, probably for the benefit of trainee psychiatrists who felt bad that they couldn't find time to read the original. These are just headline findings. It is not possible to do justice to the richness of the text, which brings out much needed detail from schizophrenia's murkiest period, that space between the appearance of Bleuler's 1911 book, and the emergence of the first DSM. During those forty something years, psychiatrists were particularly divided over what schizophrenia meant, and how it stood in relation to the idea of dementia praecox (which actually survived in some dusty corners until into the late 1960s). Importantly, McNally can read German and French, and can thus go back to original source material in a way that is rarely done. So much of the self-recounted history of psychiatry (Lieberman's book is a prime example) hews closely to the living memory of the teller. Thus anything much before the 1950s has been increasingly excluded from the profession's autobiography. One theme that runs throughout is what McNally describes as "the ahistorical nature of psychiatric thought" (p.126). Psychiatry, he points out, has persistently neglected the development of its own concepts, leading to simplification and dilution of its ideas (some psychiatrists have also lamented this tendency). This is how ideas pertaining to catatonia, split personality, and Bleuler's "four As" can be so awry. It's tempting to hope this doesn't matter. As Thomas Kuhn pointed out, all successful scientific research is in the habit of forgetting its history ("Why dignify what science's best efforts have made it possible to discard?" - The Structure of Scientific Revolutions, p.138). 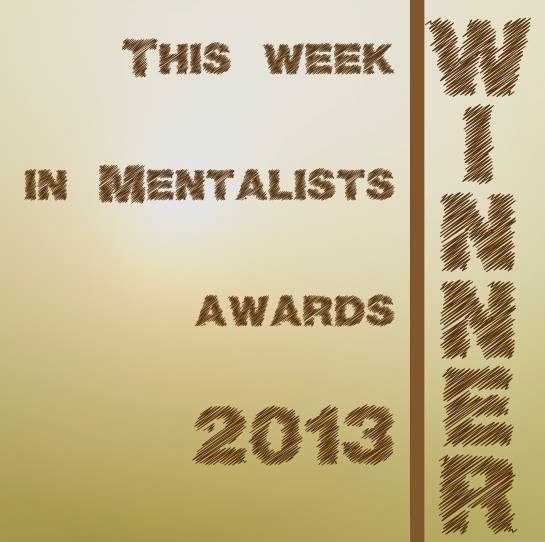 But it does matter deeply. There is serious doubt about whether psychiatry is a scientific enterprise (a psychiatrist once told me that he had chosen his profession because it was the only branch of medicine prepared to admit it was not a science), and no good can come from simplistic reification of ideas at the expense of describing real experiences. Recent research by Nev Jones has highlighted the peculiar and disquieting effect when people doubt the validity of their experience because it fails to match canonical DSM descriptions. To accurately describe people's subjectivities, psychiatry needs depth, and for all its flaws, the detail one can find in Bleuler's clinical writing conveys a sense of people, and what ails them, that checklist diagnoses are sorely lacking. It is peculiar that McNally devotes a whole chapter to the issue of how schizophrenia fed into social discrimination, and a section therein to its specific racial biases, but nowhere mentions Jonathan Metzl's The Protest Psychosis. Metzl's thesis is that schizophrenia became a "black disease" during the late 1960s, when DSM-II took away the suffix "reaction" from the diagnosis, and psychiatrists implicitly came to associate paranoid projections (an important concept in understanding psychosis at the time) with the representations of black political activists. Possibly he does not concur with Metzl. By McNally's reading, schizophrenia was already a black disease long before DSM-II or even DSM-I, being over-diagnosed in black populations in studies in 1925 and 1931. There is sometimes a sense that McNally over-does the ludicrous quality of schizophrenia research (though, I would hasten to add, not by very much). For instance, in an entertaining early chapter he reviews the extraordinary litany of long forgotten sub-divisions and related concepts. Speaking of a schizaxon, schizothymia, schizomania, schizonoia, schizobulia, schizophasia, shizoparagraphia, or of a schizovirus all seem rather absurd now (especially when you put these schizo prefixes together). McNally groups Meehl's (1962) schizotaxia in with these redundant concepts, painting a picture of one more another junk idea in the scientific dustbin. But although it's fair to point out that no-one now speaks of schizotaxia, it is misleading to suggest that Meehl's idea fell by some historical wayside, just because the term didn't catch on. In teasing apart a conceptual referent for "schizotypy" (a sub-clinical, at-risk phenotype) as opposed to schizophrenia (a clinical disorder) and schizotaxia (a heritable disposition), the framework presented in Meehl's paper provided a powerful organising principle for schizophrenia research ever since. Whether they know it or not, contemporary investigators are indebted to the idea of schizotypy (which is actually very popular right now). Schizotaxia (even if undesirably named) is perfectly conceptually coherent. Nobody now talks in terms of Albert Ellis' "musturbation" (to mean the anxiety provoking feeling that one should achieve some unreasonable thing), but that doesn't mean Albert Ellis didn't play an important role in re-conceiving the function of psychotherapy. As I mention above, McNally is not interested in pushing an agenda for researchers, though one suspects he thinks they should be more historically literate. However, it's impossible to read this book without wondering about the problem of schizophrenia's conceptual unwieldiness. McNally is, at the very least, skepitical, and wonders in his conclusion whether the side effects of medication are too high a price to pay for treatment given the idea of schizophrenia has "often failed to justify itself" (p.210). The validation of schizophrenia is frequently postponed for the future, a shining technological breakthrough when psychiatry anchors its concepts once and for all. Once again, the idea of abandoning schizophrenia is in the air; should we stop talking about it? Should we call for a paradigm shift? If only it were so simple. I have argued before that schizophrenia's flaws are undeniable, but we lack a compelling alternative. Paradigm shifts (at least in the Kuhnian sense) take place when a theoretical framework arrives that makes it untenable to speak in terms of its predecessor. Schizophrenia is just over 100 years old, which isn't that long in the tooth for a productive but strictly false programme of research. Phlogiston theory organized research in chemistry from 1667 to 1780, though researchers probably had a sense it was flawed for a while before they could figure out a better way of thinking. Unlike Oxygen theory, none of the competitors currently being mooted in the psychiatric domain (a focus on specific symptoms or complaints, or on individual formulations) is formally incommensurate with a theoretical disorder called "schizophrenia". Until a theory arrives that makes tighter predictive claims, we are stuck with a hot mess. In the past we had slavery, and the slave hated his/her master. Today the slave is not allowed his/her thoughts of hate. We talk about all you feather chasing freaks stepping off your territorial island where it's a slum sermon and you feel anxious it's time to make a move I can only tell you don't hesitate to drive the barrel into the sternum of a stranger who makes no mistakes. If you've heard all the machinery and buzzing it doesn't take much thought when the hollow pop opens the evil eyes of that dummy you like...we could shoot every single round into that mannequin it's not a loss you made him numb to the heat from the muzzle. Better him a Han you it's a strange advantage you take for granted. You don't live keep us safe or care much about people on the street. I met you you looked confused and scared when they looked into your face they are all black in our slums you should fear being alone and get back to work on our puzzle. I'll your dreams and answers it's none of your business seeing us as your symbols you won't like who we are. Knock someone's noodle if you think you've got the answers.